UZELMAN will present a new work, ‘Where the Necessary Tools Do Not Exist, the Thoughts in Question are Not Expressed and Not Even Conceived’. Inspired by a summer field-trip to an abandoned brick plant, this work continues an undisciplined line of inquiry into the history and folklore around the Saskatchewan LSD experiments and their association with the rise of socialised medical care in the province during the first half of the cold war. 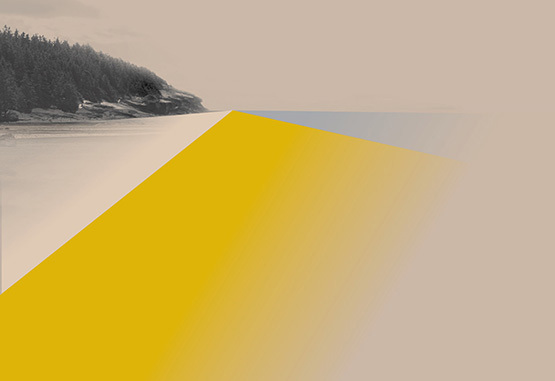 Uzelman will discuss this work in relation to themes and questions around place, alternate platforms, audience, experimentation, framing, networks of exchange, and the opportunities and challenges of living and working in remote settings. 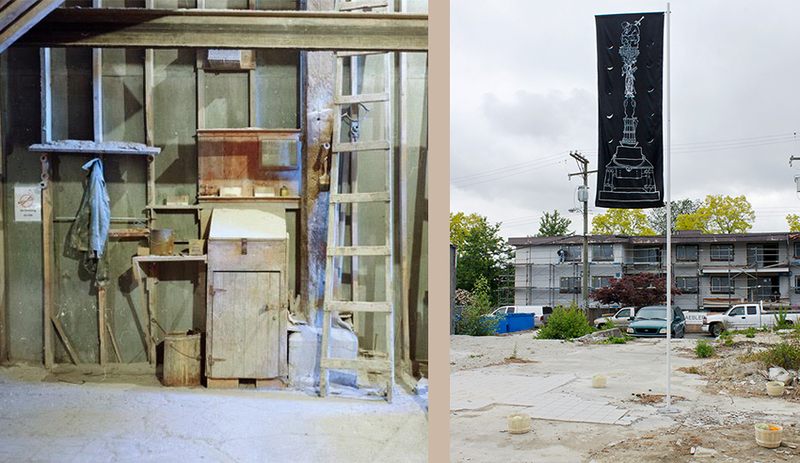 WARD will discuss her ‘Monument to the Vanquished Peasants’ (2016) a public intervention located on an empty lot at Broadway and Carolina and based on Albrecht Durer’s plans for a monument to commemorate the bloody Peasant Uprisings of 1525. Serving as an inquiry into the potential role of collective action and class solidarity the work considers Vancouver’s overheated and unsustainable real estate market in relation to the fate of serfs and their right to the commons. Kara Uzelman lives and works in the rural, farming community of Nokomis, Saskatchewan. Interested in the self-sustaining potential of handmade and DIY culture Uzelman’s work engages with the processes of gathering, making and inventing as a self-directed study of her surrounding environments. Her provisional constellations of gleaned objects create alternate systems, cycles and networks. Often using wood, earth, paper, rope, outmoded electronic devices, and household remnants, her sculptures, collections and archives activate the narrative potential of objects and explore the immaterial qualities of the material world. Her working methods include folk techniques, field trips, internet research and peripheral fields of scientific study. Based between Vancouver and Heffley Creek, BC, Holly Ward is an interdisciplinary artist working with sculpture, multi-media installation, architecture, video and drawing as a means to examine the role of aesthetics in the formation of new social realities. Stemming from research of various visionary practices such as utopian philosophy, science fiction literature, Visionary Architecture, counter-cultural practices and urban planning, her work investigates the arbitrary nature of symbolic designation and the use-value of form in a social context. During the academic year 2009-2010 Ward was the Artist in Residence at Langara College, wherein she commenced ‘The Pavilion’ project, a 22’ geodesic dome serving as a catalyst for artistic experimentation involving artists, writers, designers and Langara College students. ‘The Pavilion‘ has since been moved to rural Heffley Creek BC, where it is currently under construction as a long-term, life-as-art project, being performed in collaboration with artist Kevin Schmidt. Recent publications include Every Force Evolves a Form (Artspeak, 2012), and For Now, on Holly Ward’s Persistence of Vision, a critical essay in Jeff Derksen’s After Euphoria (JRP Ringier Press, 2013).